The Institute of Management Studies (IMS) is a newly formed academic department at Goldsmiths, University of London, offering four different Master programmes: Occupational Psychology, Leadership and Talent Management, Management of Innovation and Digital Entrepreneurship. Representing a unique interdisciplinary collaboration between academics with expertise in the areas of psychology, computing, design and creative entrepreneurship, the IMS wanted to be able to offer students of all four MSc courses the same opportunities for additional professional training and certification. 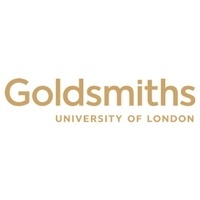 Whilst the opportunity to become certified by the British Psychological Society’s (BPS) in the use of psychometrics had been a long standing element of the Occupational Psychology MSc, Goldsmiths University wanted to offer this to all IMS students. To meet these requirements, Criterion met with the Programme Director and Business Manager at Goldsmiths University to discuss how the course could best be delivered to coincide with the academic curriculum of the four courses. In addition, Criterion Partnership had to be aware at the design stage the students’ varying levels of experience of familiarity of psychometrics and ensure this was accommodated. Face to face delivery of the course supported by pre and post course activities to embed the learning. Criterion Partnership successfully delivered the training to 30 IMS students, meeting the needs and objectives of the university and the students themselves. Furthermore, subject to completion of their post-course work all are now eligible to apply for entry onto the BPS Register of Qualifications in Test Use and apply for the EFPA Level 2 Euro-Test Certificate (European Federation of Psychologists Association).